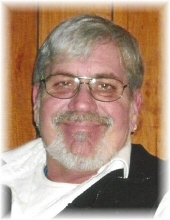 David Louis Rosebrock, 65, of Bowling Green, Ohio passed away peacefully on February 2, 2019 at the Bridge Hospice Care Center in BG. David was born on February 22, 1953. He was adopted shortly after his birth by Louis and Harriet Rosebrock of Bowling Green, Ohio, and he became their son for life. They preceded him in death. He married Jacquelyn Hope Wehrle on July 30, 1977 and she survives. David was a 1971 graduate of Bowling Green Senior High School. He had several educational interests throughout his life, including culinary arts & cosmetology. He loved to challenge himself, and he truly took pride in making the world a more beautiful place. David and his wife had an incredibly satisfying career for over a decade of owning a shop in downtown Grand Rapids, Ohio called “The Herbary & Other Curios”. David began growing herbs and exotic plants, their back yard and their shop became an educational experience as well as a hobby and a passion. Gardening remained his true passion throughout his life. David also enjoyed his career as a hair stylist for over 40 years. After building a clientele in his self-owned salon within their Grand Rapids shop, David furthered his career with the Fiesta Salons and First Choice Salon in Bowling Green and Toledo, Ohio where he remained employed until his recent retirement last fall. David and Jackie were blessed with two sons; Benjamin David Rosebrock (Kelly Shultz) and grandson, Vincent Rosebrock and Nathaniel Edward Rosebrock (Shelby Gonyer), granddaughter MaKenna, and grandsons Parker and Anderson, all of Bowling Green, Ohio. David is also survived by one sister (for life), Sue (Rosebrock) Davis (Glenn Davis), one nephew Rick Gilbert (Amy Hoffman) also of Bowling Green and one niece Samantha Davis of Fort Lauderdale, Florida. Visitation will be held on Thursday February 7, 2019 from 2:00 to 4:00 p.m. at Dunn Funeral Home, located in the Historical District of Bowling Green at 408 West Wooster St. A Celebration of Life Service will immediately follow at 4:00 p.m. at the funeral home. Pastor Jamie Valaquez will officiate. Memorial contributions may be given in his memory to the Wood County Humane Society. To send flowers or a remembrance gift to the family of David L. Rosebrock, please visit our Tribute Store. "Email Address" would like to share the life celebration of David L. Rosebrock. Click on the "link" to go to share a favorite memory or leave a condolence message for the family.